Thanks to one of our new Wedding Chicks Vendors Loft Life Press for creating this custom monogram exclusively for Wedding Chicks. Of course, it's everyone's favorite color scheme - purple. All of the designs from Loft Life Press are hand painted and digitally scanned. Use this on all of your wedding stationery and day-of material. Another idea is have professionally printed out and framed. So cute right? 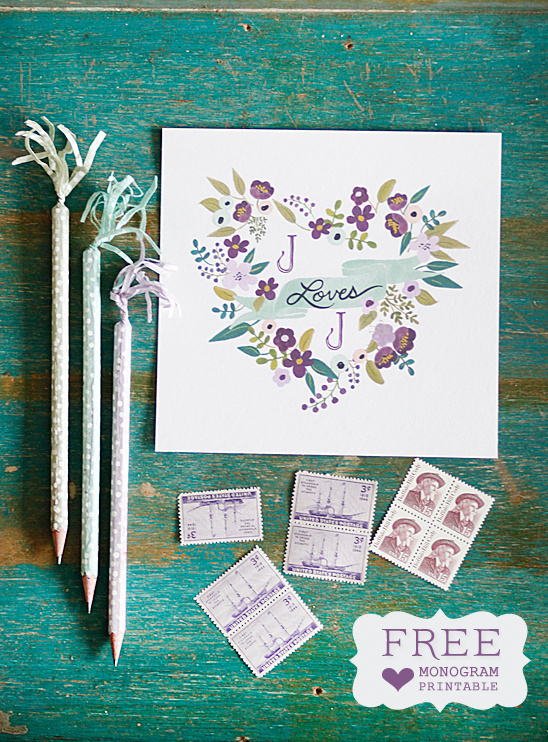 See all of our free printables by clicking here.